Our 10 favourite new filmmakers! As you'll see when we drop our 50 Best Movies of 2017 list later this month, it's been another great year for movies, and the amount of quality films made by first time filmmakers has us very excited for the years to come. Here, in alphabetical order, are the 10 directorial debuts that most impressed us in 2017. We said: "Behind the camera, Lea Mysius introduces herself with assertiveness. They say a filmmaker's debut should include all of their obsessions up to that point, as they may never get to make a second feature. While her film is a uniquely rewarding experience, it leaves no doubt that Mysius is a committed cinephile, nodding to everyone from Luis Bunuel to Nicolas Roeg." We said: "Hubert Charuel exploits his own background as the son of dairy farming parents, and his film's portrayal of rural France benefits heavily from such unique insight. Bloody Milk is as tense as any neon lit urban thriller." 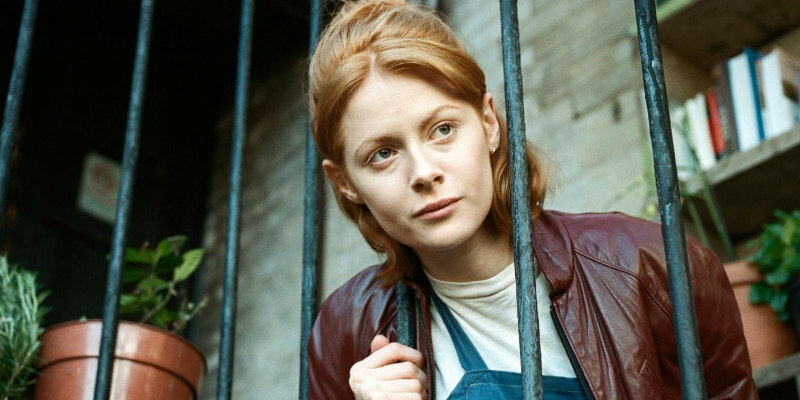 We said: "Thanks in no small part to an instant star-making turn from Emily Beecham, Daphne is one of the most complex, intricate and fascinating characters to appear on a screen in recent years." We said: "It's clear Liam Gavin is a cinephile, as his film contains subtle nods to genre movies of the past that never feel like the filmmaker is winking at fans, but he's also interested in using the horror genre to ask some existential and spiritual questions." We said: "Anna Rose Holmer's film is a genuine oddity - part horror movie, part high school comedy, part coming of age musical, with Holmer displaying a Minnelli-like understanding of how to shoot dance sequences that's far less showy but just as effective as La La Land." We said: "Damien Power isn't just letting us know he's a fan of exploitation cinema - he's using the form to comment on the nature of man's survival instinct, and he takes us to some incredibly dark places in doing so." We said: "For an adaptation of a work of 19th century literature, William Oldroyd's film is commendably light on dialogue, as the director spins his story in a cinematic fashion, all subtle gestures, wicked smiles and nervous frowns." We said: "If Ana Asensio's goal was to gain notice as an actress by creating a plum role for herself, she's succeeded, but it's behind the camera that she really shines, making Most Beautiful Island one of the most confident directorial debuts of recent years." We said: "As director Kevin Phillips' feature debut so explicitly demonstrates, adding the paranoia and insecurity of teenage life to a thriller narrative is a recipe for a highly compelling watch." We said: "Michael O'Shea's movie may play best to genre buffs, but it offers more humanity in its low-key moments than you'll find in the most acclaimed and awards foisted of mainstream dramas."